This is an excerpt from my memoir that I've been working on - I'm putting it out here because I don't think it's going to fit into my story anywhere, but I still wanted to do something with it. Want to know what raising twins with Fragile X Syndrome and autism is like? Imagine that you had a baby. An adorable little boy. He's kind of a hard baby. Colicky. Like a lot of babies, he's confused about days and nights and when to sleep and when to wake. Doesn't eat well. Seems crabby and unhappy. You feel like you can’t do anything right, and your baby is miserable all the time, and it’s your fault. Then imagine you have two of them. Two crabby, sleepless, miserable, poor eaters. It's harder than you ever thought it would be. Then imagine they grow up a little. They are toddlers. Took them forever to work their way out of babyhood, but now they are finally toddlers, and they are finally happy! After almost two years of being helpless babies, they can walk now, and even run, jump, and climb. They are all over the place, and nearly faster than you can keep up. They like to take off in opposite directions. Days are exhausting, nights are excruciating, and time flies because you don't have time to notice time, anymore. And they continue to be toddlers. For years. Other moms are able to walk into a store without holding their children’s hands, or sit on a park bench and watch their kids play from afar, but not you. You still have to trail those boys closely as if they were still toddlers, even though they are school-age now. Because they still don’t understand that they could fall from great heights. They still don’t understand how to stand in line, when there’s a bunch of kids waiting their turn to go down the slide. They still have no idea that if they walk away from you at the store, that they might get lost and scared. They have no idea that cars driving through a parking lot might not be watching for them. You still have to pack a backpack (although you have graduated from the diaper bag days, the contents are basically the same) full of necessities, anytime you want to leave the house. Your children might be somewhat potty trained, but you can’t trust that you won’t need a pull up, some wipes, and a change of pants. You just never know how successful they are going to be when out and about. You still need snacks, in case outings go longer than planned or in case someone has a meltdown while waiting in line at the grocery store and needs something to help him calm down. You still need books and toys and random comfort objects. The chasm between your life and that of other moms of children the same age grows wider and deeper each year, as other children develop skills your children haven’t. 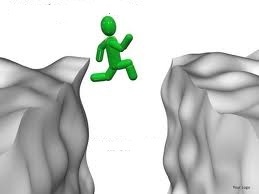 You’ll spend possibly the rest of your life trying to build a bridge across that chasm. And yet, this is your life. You didn’t choose it, but nobody else gets to choose their lives, either. They are your sons, your flesh and blood, and they are darling and funny and sometimes even clever. You are constantly aware that things aren’t quite like they were supposed to be, but for the most part, it’s not so bad. You don’t lie awake at night wishing things were different. Well, most nights you don’t.